Bethany and I (Tammy) have friends who take care of the chickens on the Weiss Hospital Parking Garage roof in Uptown, Chicago. They sent out an email asking if anyone was interested in keeping bees on the roof. I jumped at the chance to help. I’ve always loved insects and have found bees endlessly fascinating. I also love to learn new things so I thought, why not? 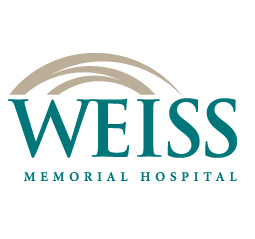 And with Weiss financially supporting the endeavor, we had nothing to lose. Our Weiss contact, Terri Tuohy, told me that there were hives up there before, but the person who was caring for them took all the equipment. We would have to start from scratch. I started by reading a bunch of books and watching a bunch of videos. 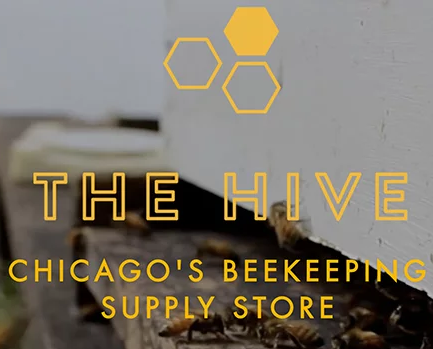 I found The Hive, a Chicago beekeeping supply store that I wanted to support with our business. Bethany and I checked out the store and met the manager, Naaman Gambill, an experienced beekeeper who manages hives around the city for parks, conservatories, and restaurants. He was incredibly helpful and made himself available for future help. We brought along our Junior Beekeeper, my daughter, Phoenix. Phoenix partaking of comb honey at The Hive Supply in Chicago. I went up on the roof to check out the hive space. As you can see, the space is a little worse for wear. Our first order of business is to clean up the area and make it hive ready. Tammy writes about unabridged life, fragmented faith, and investing in the mess. She is founder and curator of The Mudroom, a collaborative blog encouraging women to speak truth, love hard, and enter in with each other and co-founder of Deeply Rooted, a biannual worship and teaching gathering for women. Tammy is a member of Redbud Writers Guild, writing blog posts, personal essays, flash memoir, poetry, and even preaches sometimes. She lives in an intentional Christian community in Chicago with her husband, Mike and daughter, Phoenix. She has a poem included in the recently published book Everbloom: Stories of Deeply Rooted and Transformed Lives. 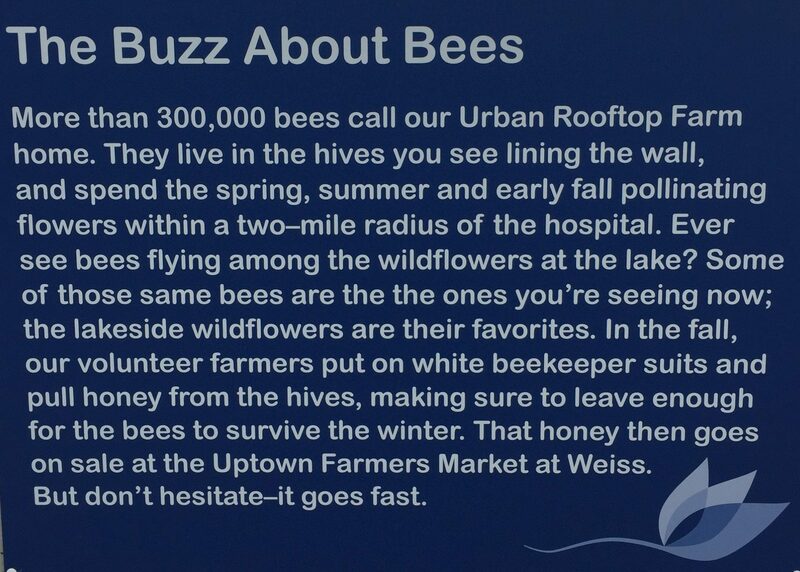 This entry was posted in Galleries, Weiss Rooftop Farm and tagged rooftop bees, Uptown Apiary, Uptown Chicago, urban agriculture, urban beekeeping, urban hives, Weiss Hospital, Weiss Rooftop Farm. Bookmark the permalink. Sign up for Uptown Apiary news. First Looks at the Hives! Who Lives in a Colony?